Coconut oil can help skin from developing liver spots and also eradicate other blemishes caused by aging and over exposure to sunlight. One of the benefits of lime in the field of beauty is that vitamin C can make the skin become white, smooth, and more resilient. Verbena invigorates the body and mind while bringing relief from daily stress. 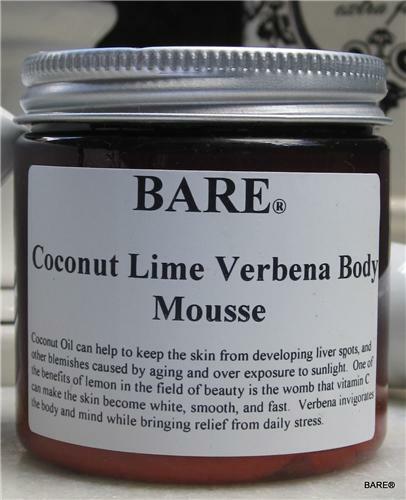 BARE Coconut Lime Verbena Body Butter is a traditional beeswax and borax body butter with origins dating BACK 100 Years.